When Blake said that, he was really touching on the value of virality in product-led growth. When your customers pick up your product and are incentivized in some way to share that product, that’s an incredibly powerful form of marketing. Sometimes, that virality is driven by sheer customer delight — but often, it’s the inherent networking effect of a product that drives this kind of explosive growth. What is the Networking Effect? Slack, the popular workplace communication hub, is the perfect example of a product with a strong networking effect. In order to use the platform successfully, users need to invite others to chat with them. As more and more of your coworkers join that network and come to prefer the speed and convenience of the app, it becomes more efficient to communicate via the Slack app than to forge ahead with traditional communication channels like email. However, this company-wide network you’ve created does not necessarily create a true viral effect. Communicating with your coworkers via Slack creates a closed system within your company; by itself, this won’t have an external viral effect in which different companies will hear about the product. In essence, virality describes a product’s ability to create a viral loop. Although viral loops can be strongly influenced by the networking effect, a product does not need to have an inherent networking component to become viral. A viral loop occurs when a prospect’s first interaction with a product is through the product itself — a key element in product-led growth. Take Calendly, for example. Calendly allows you to share calendar links and easily schedule meetings with others. Because the platform is inherently collaborative — there’s no “single-player” version of the product — it has a strong networking effect. This networking effect exposes other people to the product and promotes its value before they’ve become customers. Blake Bartlett describes this intrinsic promotional aspect as a “viral loop.” When someone receives a Calendly invite, they can immediately experience the speed, flexibility and convenience offered by the platform. Upon first discovering the product, they’ve instantly benefited from it, and they’re more likely to adopt it themselves. You might be reading this and thinking: That’s great for Calendly — but how can I create viral loops for my own SaaS product? A viral loop is formed any time a prospect is able to interact with your product before they’ve adopted it. Drift, the conversational marketing provider, creates a viral loop when someone’s first interaction with the company is through Drift’s chatbot on a website. HubSpot’s viral loops form when someone receives an automated email and becomes curious about the value of email automation for their own company. At New Breed, our salespeople have directly taken part in the virality of Vidyard’s product. When prospects see our salespeople using Vidyard in their outreach, they immediately experience the value of video in sales and marketing and usually want to learn more. You could also argue that virality occurs with intangible, service-based products as well. For example, New Breed provides marketing services. When a prospect’s first interaction with New Breed’s brand is through our marketing material, they’re directly experiencing our product and extracting value from it. At its core, this value-driven approach is what makes virality successful. But how do you actually know when your viral loops are successfully driving growth? And how do you optimize those viral loops to attract and engage more customers? In other words, how many people are being exposed to your product through the networking effect? Of those people, how many of them adopt the product as a result of that initial exposure? In Calendly’s case, the ratio would be the number of meeting invites sent out to the number of people who accept those invites and actually schedule a meeting. Understand why people convert. Use this understanding to alter the way you present your product in those initial interactions to demonstrate its value more plainly and promptly. 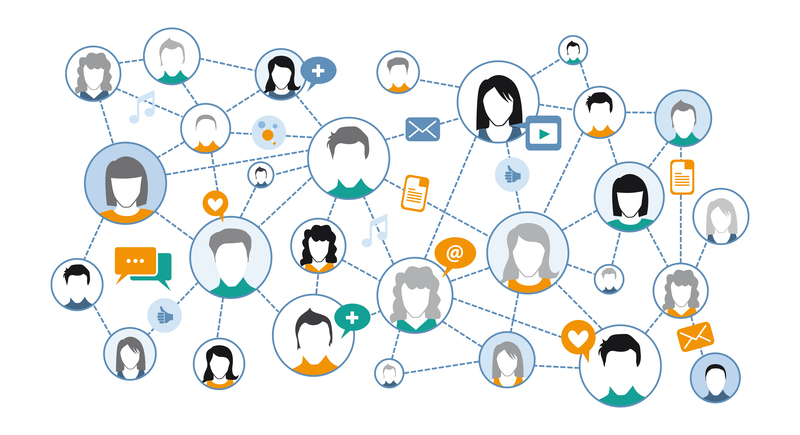 Build a network effect into your product. Alter your product offering in some way to encourage customers to invite other people to use it with them. When users mutually benefit by building a large network, the viral loop accelerates. In growth-led companies, sales, customer success and product development teams are all aligned around the idea of virality and the value it creates for the business. If you can successfully tap into the goldmine that is virality and the network effect, you can steadily grow your customer base without dedicating many additional resources to sales and marketing.